"He liked to say that the impossible is just the possible that you ignores"
Hello folks! The weather is perfect to wear different clothes like these ethnic Abaday shorts, because it is true that I cannt wear this type of clothing in winter. 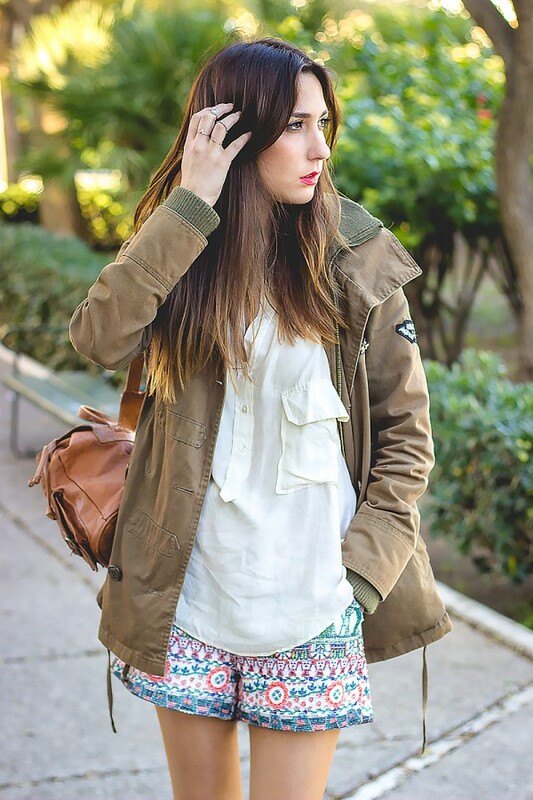 I chose to combine its with casual clothes, like my eternal military parka or my maxi boots. It is not very common but I think that's the beauty of this look. Do you like it? What do you think about the look? How do you combine its? I hope you liked it. A thousand kisses and love for all. "There not place in the world that exceeds that stand by your side"